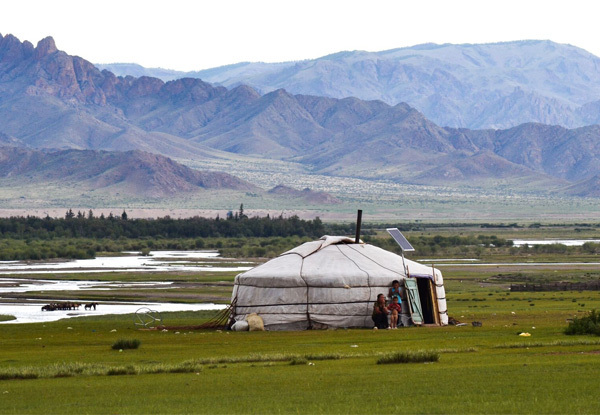 Feed the hunger of your wanderlust with a 20-day adventure exploring the vast, complex and beautiful Mongolia, China & Russia. 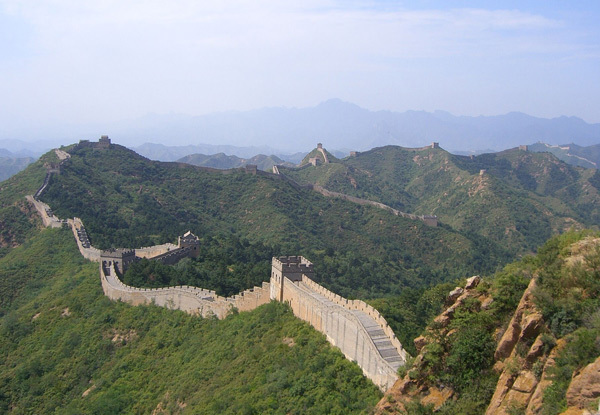 Begin by walking the Great Wall of China, then ride the rails through northern China, far across the vast expanses of the Gobi Desert and the Siberian steppe. Still farther on, you will find a historic city where Islamic and Orthodox architecture stands side by side. And in the distance, you will discover Russia’s two grandest cities. Tour departs 8th May, 19th May or 26th May 2019. Bookings essential and must be made within 7 days of purchase or by 31st January, whichever occurs first. 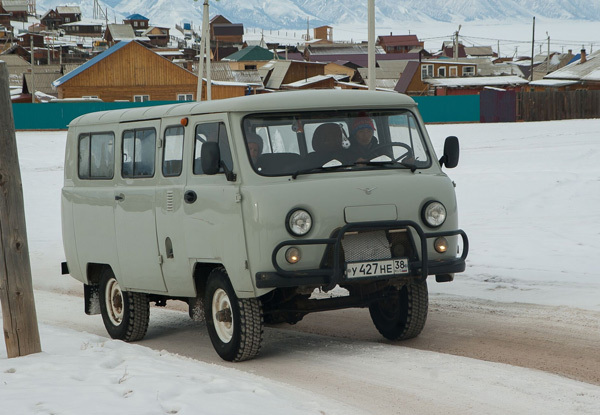 Grab a 20-Day Trans-Mongolian Discovery incl. 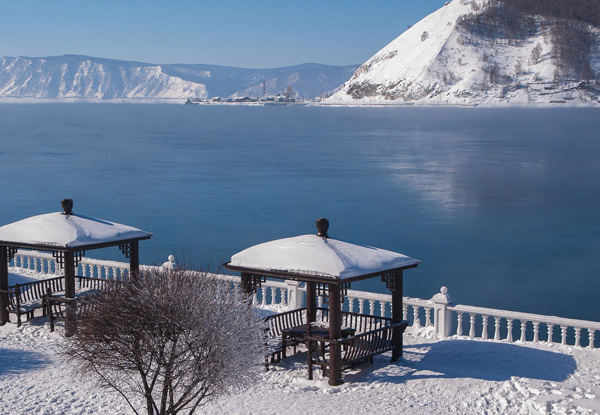 accommodation, train ticket, expert guide, 8,500km from China to Russia covered from Inspired Escapes. 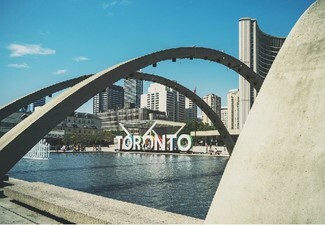 Sightseeing Comprehensive schedule of sightseeing with certified Local Guides - you’ll have a generous sprinkling of free time to relax or explore on your own. 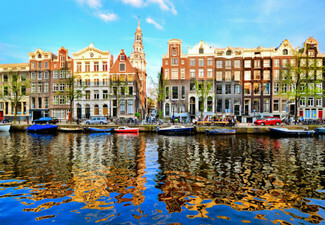 Exploratory group tours with a generous balance of sightseeing and relaxation. Designed to help you hit the region’s highlights and uncover hidden gems along the way. 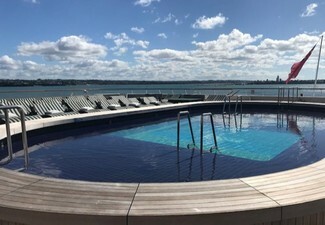 When you have free time; you can choose to put your feet up, explore on your own, or ask your Tour Leader to organise additional activities outside of the schedule. Beijing - The adventure begins – join your Tour Leader and fellow travellers this evening as final preparations are made for your departure. Please meet your Tour Leader at 5:00 pm for your Pre-Departure Meeting as detailed on your Joining Instructions. Immerse yourself in the bustling metropolis of Beijing, where our first impressions are of the Temple of Heaven and Tiananmen Square. Mao Zedong’s mausoleum is a popular attraction in the centre of this vast public square, so too the impressive gate to the Forbidden City (closed Mondays) which carries his image. Beyond the city, we take an unforgettable walk on the Great Wall of China at Mutianyu. 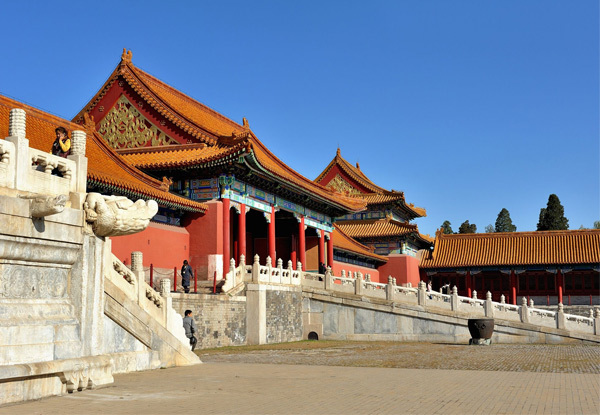 Sightseeing – Day 2: Half Day Tour including the Temple of Heaven & Tiananmen Square, City Exploring and free time. Day 3: Excursion to the Great Wall at Mutianyu. Trans Mongolian Railway - Board a mid-morning departure on the Trans Mongolian Railway and observe the villages and fields of northern China slip away as we head north. 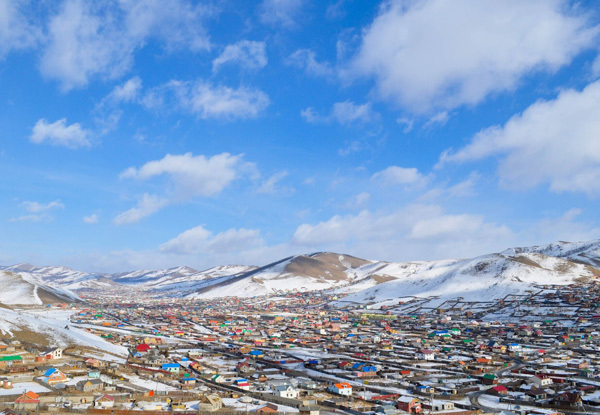 As the sun sets, we’ll cross the Gobi Desert bound for the Mongolian border, and its quirky yet friendly capital of Ulaanbaatar. Ulaanbaatar - The scenery as we approach Ulaanbaatar is impressive. 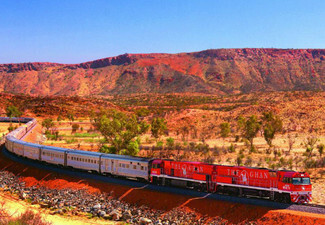 The train winds around tight bends to provide excellent photo opportunities. Finally, the capital appears, set amid endless grassy steppes. We visit the Zaisan Memorial from which the entire city is visible. We continue to Gandan Khiid the country’s largest remaining monastery where you can mingle with Buddhist monks and view the impressive 25-meter statue of Magjid Janraisig (the Lord who looks in every direction). Sightseeing - Zaisan Memorial and Gaandan Khiid. Terelj National Park - The wide-open spaces beckon, and we answer the call by driving into the spectacular Terelj National Park to spend the night in a traditional ger – faithful in design to those still used by the country’s nomadic herdsman. The air is fresh, and the surrounding mountain scenery is glorious! Sightseeing - Excursion to Aryabal Monastery, Turtle Rock and visit a local nomadic family. 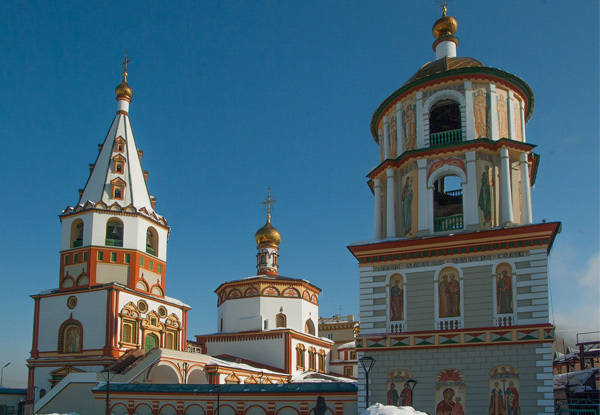 Irkutsk and aboard the Trans Siberian Railway - Upon our return from Lake Baikal we will embark on a walking tour where you will discover the city’s wonderful historic sights – 18-century churches, brightly painted shutters and log houses decorated with intricate wooden lacework. It’s a charming city with a history dating from the fur and tea trading days when it began as an isolated Cossack outpost. Aristocratic exiles from the west brought a touch of elegance with their ornately decorated wooden houses, while Asian traders from Mongolia and China introduced a touch of the Orient. Late this evening we join the Trans Siberian Railway! 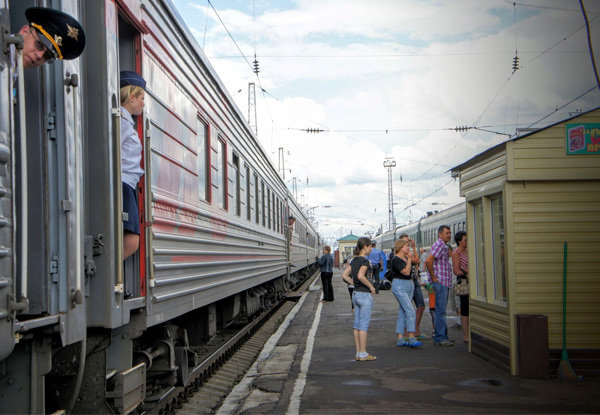 We head west pausing briefly at stations - Novosibirsk, Omsk and Yekaterinburg among them – riding the rails of the world-famous Trans Siberian Railway en route for Kazan. Sightseeing - Day 10 – Museum of Wooden Architecture, Walking City Tour including the Local History Museum. Welcome to Kazan - One of Russia’s most progressive cities – the capital of the Tatarstan Republic within Russia, where orthodox and Islamic cultures meet. Built on the intersection of two rivers, Kazan has endured a tumultuous history, in 1553 Ivan the Terrible took it from the Golden Horde and the city underwent a process of Russification. Today Tatars, the descendants of the Golden Horde, make up about 43% of the population, maintain their language as well as culture and are very proud of their history. Kazan and onto Moscow - Today you can soak in the history and culture of this wonderful city on a full day tour with a local guide including a visit to the UNESCO World Heritage Listed Kazan Kremlin before we board our overnight train to Moscow. Sightseeing - City Tours including the Kazan Kremlin with a local guide. Hello Moscow! Welcome to Moscow! 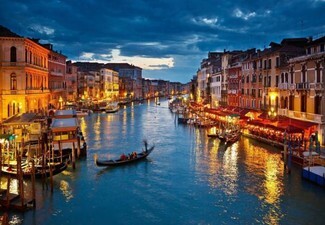 This city will amaze you, its palaces and public buildings restored to their former glory. The echoing vastness of Red Square, the splendid twirled cupolas of St. Basil’s across the cobblestones. Explore the Kremlin itself, where we go behind it walls to visit the Armoury Chamber with its vast array of treasures. Sightseeing - Day 15 Full day City Tour including Red Square, St Basil’s Cathedral. Optional activity: Cultural evening performance. Day 16 - Kremlin excursion including the Armoury Chambers, City Exploring and free time. Moscow and to St. Petersburg - Enjoy the day in Moscow exploring the city. Head underground to see the palatial, chandelier-draped metro, people watch on Arbat Street or wander the recently opened Zaryadye Park and take in the breathtaking views of the Kremlin. Returning to the station late in the evening, we board our train to St. Petersburg for our final leg of this epic journey. Sightseeing - City Exploring and free time. 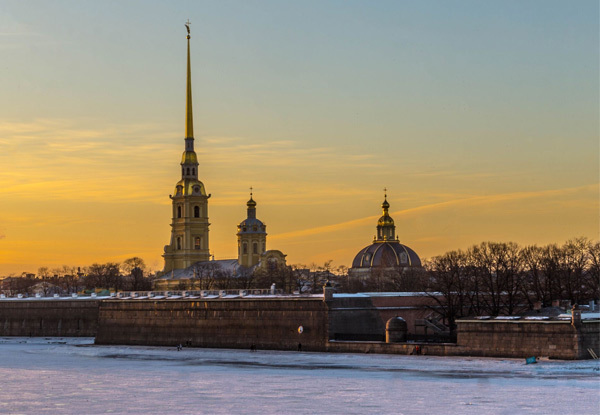 St. Petersburg - It is the city on the water, the ‘Venice of the North’, standing resplendent on the delta of the Neva River. Our City Tour will reveal the city’s other great secrets including St. Isaac’s Cathedral and the enormous Palace Square. And to round off our journey, we spend our final day together amongst the lavish palaces and beautiful gardens of Peterhof. 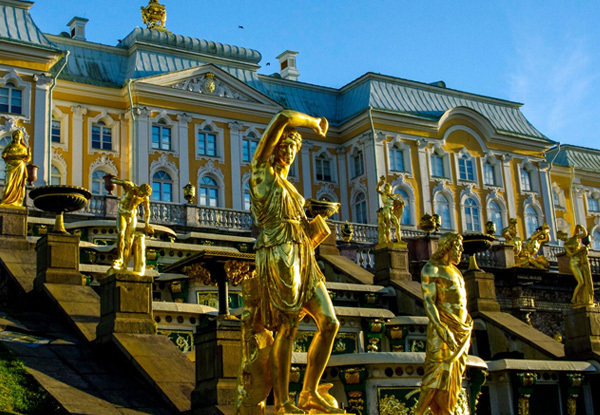 Sightseeing - Day 18 – City Tour including Peter and Paul Cathedral, City Exploring and free time, Day 19 – Half Day City Tour including Hermitage Museum and Palace Square. Optional Activity: Cultural evening performance, Day 20 – Excursion to Peterhof. Bookings essential and must be made within 7 days of purchase or by 31st January, whichever occurs first. Valid for travel on specific departure dates Subject to availability. International flights not included. Tour departs 8th May, 19th May or 26th May 2019. Must be used in 1 visit. Per-person option valid for one person on a twin share basis i.e. two vouchers must be purchased at this price. Solo traveller option valid for one person. Want to secure your place and price for this deal but prefer to pay later? Simply purchase the per person deposit option. 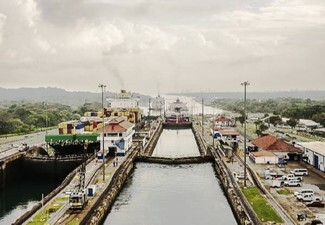 Full payment is due 90 days prior to departure. Includes: meals 13 breakfasts, one lunch & two dinners, all transfers including to and from the airport, accommodation 10 hotels (twin share), 2 Siberian guesthouses (twin share), 1 Mongolian ger (shared), seven trains (4- berth), sightseeing, comprehensive schedule of sightseeing with certified, local guides - you’ll have a generous sprinkling of free time to relax or explore on your own, expert local guides, train tickets provided & meals as indicated etc. Excludes international flights, visas & anything not specifically mentioned in the itinerary. Visas are the responsibility of the traveller. Your passport must be valid at least 6 months beyond your intended stay. Travel insurance recommended. Value of deal is based on current rates, which are subject to change. Refund available from GrabOne within 48 hours of purchase if specific dates are not available. Once booked and confirmed package is non refundable and non changeable. No cashback. Not to be used with other offers.